From those who study life under microscopes to those who spend their days in dusty sheep yards, people who are involved in agriculture are inquisitive, innovative and committed to continual improvement. Climate Wise Agriculture provides a forum for information and experiences to be exchanged in order to build a greater understanding of climate change as it relates to agricultural industries across the globe, and to develop a network of well-informed, like-minded people. Information is always current and credible, and explains drivers of climate change, the impacts upon agriculture, and appropriate adaptation and mitigation strategies. Climate Wise Agriculture shares this knowledge in order to transfer best practices and drive strategy so as to achieve climate-resilient and sustainable agricultural industries. Who is Climate Wise Agriculture? Climate Wise Agriculture was founded by Anika Molesworth in the Far West of NSW Australia, where her family raises sheep and goats. It was the decade-long Millennium drought that spurred Anika's interest in climate change, and how to ensure sustainable and vibrant farming landscapes into the future. Anika is a recognised thought-leader of agro-ecological systems resilience, an agricultural science researcher and works in international agricultural development. Anika's dedication to raising awareness of climate change impacts on farms, and most importantly, what action can be taken to reduce emissions and adapt to changing conditions has gained her widespread notability. She won the 2015 Young Farmer of the Year, was the 2017 Young Australian of the Year NSW Finalist, and 2017 NSW Young Achiever Award for Environment and Sustainability. In 2018 she was awarded the Green Globe Awards Young Sustainability Champion, the NSW/ACT Regional Achievement and Community Award for Agricultural Innovation, and the 350.org Heroes of a Low-Carbon Economy Youth Champion. 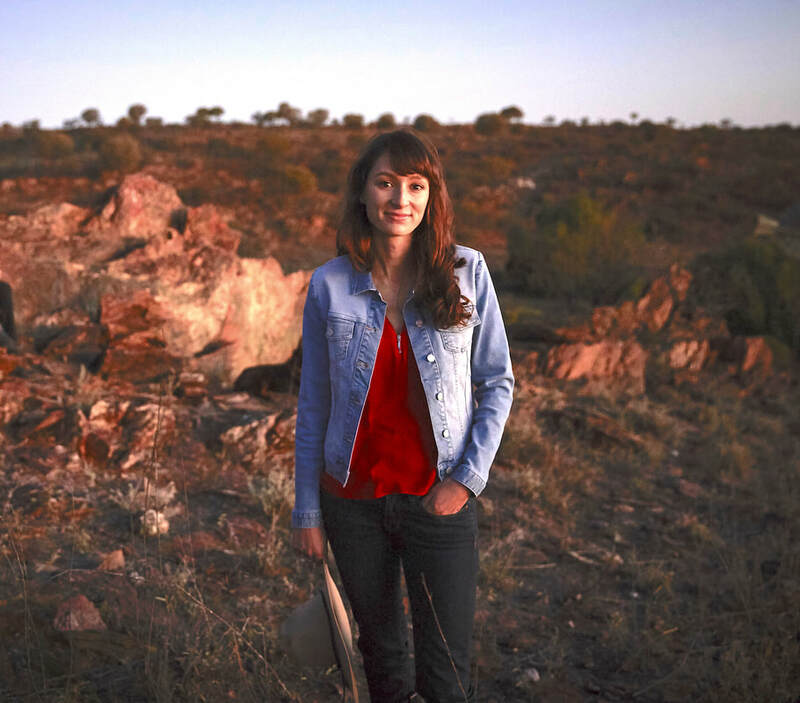 She is a Young Farming Champion, has given a TEDx presentation, run conferences on the future of farming at Broken Hill, spoken about climate change with the Duke of Sussex on his recent visit to Sydney, and in 2019 will join the Homeward Bound leadership team in Antarctica. “Anika shared her passion for a sustainable agriculture at the Ag to 2030 Brave New World Conference in 2018. She challenged thought leaders in mainstream Australian agriculture and gained their respect as a credible voice in how a changing climate is impacting Australian primary production systems." "It was a pleasure to engage Anika Molesworth as a presenter during the National Farmers’ Federation Towards 2030 Leadership Program in Canberra in 2018. Anika is a most engaging speaker; honest and reflective, open to feedback, happy to share her challenges and successes and very generous with her learning and advice." "[We were] transfixed by Anika Molesworth and her passionate presentation. This wasn't like any conference presentation, this was truly passionate and heatfelt. It was a privilege to listen. Walking away inspired." "Anika Molesworth presented at the Rural Leadership Dinner of the 28th Marcus Oldham Leadership Course. The purpose of the talk is to present to participants examples of people who are taking up leadership roles in rural communities and to reflect on the attributes and characteristic required for change leadership. Anika represented all these attributes and more. Her discussion on the issue of human induce climate change, its effects on farming communities, and what we can do was inspiring. Her ability to engage and define an inclusive vision, in what can be at times an divisive issue, was exceptional and demonstrated all the leadership qualities that we are looking for in our rural leaders."